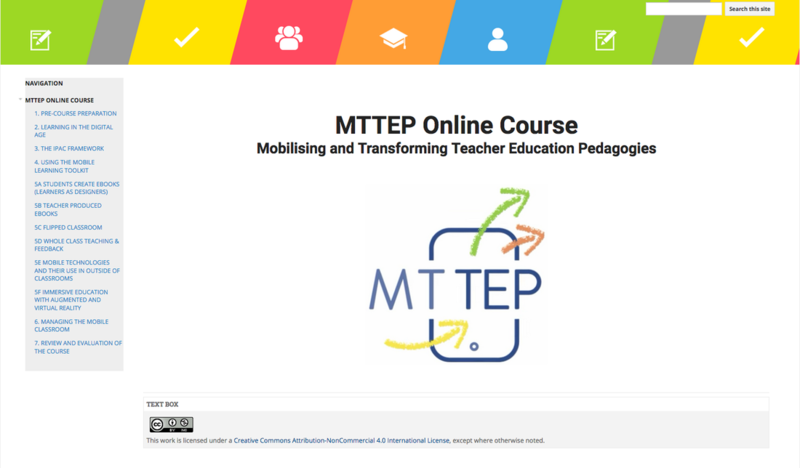 This is a free online course to support teacher educators and teachers involved in training teachers understand and use mobile technologies effectively in their classroom. It demonstrates how to gain the maximum effect from the Mobile Learning Toolkit, including how you could adapt this for use in your own institution. The online course is now ready for testing. This is still a beta version of the course and we are looking for reviewers to help us improve the course. If you are interested in helping us to improve the course for other users, beyond the project, please click on the link above and explore the course. You can review one module (each module has a review exercise at the end) or the entire course.